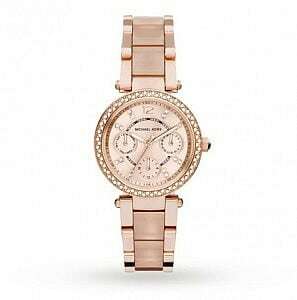 Michael Kors Darci Pink Peach Dial Watch MK3507 Price In Pakistan. The Michael Kors fashion label has been around for almost 35 years. Today he’s the designer of choice for a number of stylish women, including America’s First Lady Michelle Obama, and his eponymous handbag and watch lines are essential items for fashionistas all over the world. 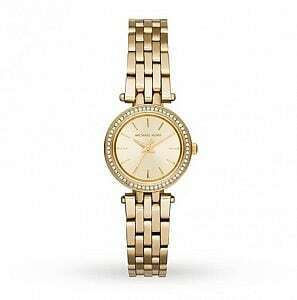 Whether it’s a statement watch with a crystal bezel or an understated rose gold-coloured watch, these pieces always radiate the Michael Kors design DNA. Michael was born in 1959 and says his burgeoning interest in fashion was encouraged from a young age – as a five-year-old he even offered style advice to his mother when she remarried. He moved to New York City in the late 1970s where he attended the Fashion Institute of Technology briefly before getting a sales assistant job at a trendy boutique. It was here he was encouraged to design and merchandise his first collection, and in 1981 he launched his fashion line, Michael Kors Women’s Collection, which was sold in high-end department stores such as Bergdorf Goodman and Saks Fifth Avenue. The young designer travelled across America promoting his clothes – at 23 he even managed convince the formidable Anna Wintour – who was working for New York magazine at the time – to view his collection. His tenacity and hard work was rewarded as his career took off and he gained celebrity fans. Kors really earned his stripes in the fashion world when he joined Céline as creative director in 1998, turning around the fortunes of the French fashion house. He left Céline in 2004 to concentrate on his own brand and has gradually expanded his fashion empire to include menswear, fragrances, eyewear, accessories, and, of course, stunning watches. 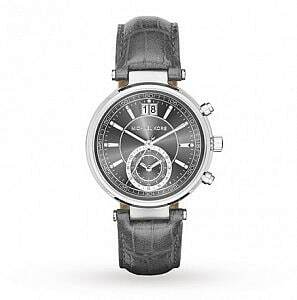 If you’re not familiar with the gorgeous timepieces that bear his name, we’ve selected four watches that typify the collection to get you started. 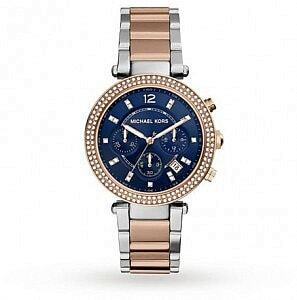 And remember, there are many more Michael Kors watches available on our Goldsmiths and in our Goldsmiths showrooms.